How many of the swimmers wear drag shorts to do 50m sprints in training? It is quite hard in the beginning. You slow yourself down by wearing extra ballast and in a normal 25 or 50 training pool, you can be assured that you get a break after a little while. But now London Swimming is holding the annual Regional Open Water event and the FINA conditions on open water swimming demand that swimmers wear a Wetsuit that covers the knee and the shoulders if the water temperature falls below 17.9 degrees. I suppose in June, in London, open water temperatures won’t go above that. Open water events last for around 3km or more. I think it must be harder to swim for 3km with that whole body suit rather than without it. It definitely toughens you up if you take part. Though in pool events it is now against the rule to wear a full body suit but I suppose the material of those would be very thin and paper-like and improve performance. Olympians used to wear them for a while; but the open-water suits would not be of that same effect and drag on the body to keep you from catching hypothermia. We can see how thin those indoor pool whole-body suits are. Open water wetsuits are at least 3 times as thick. They insulate against the cold but also create more drag through the extra weight the body has to carry. 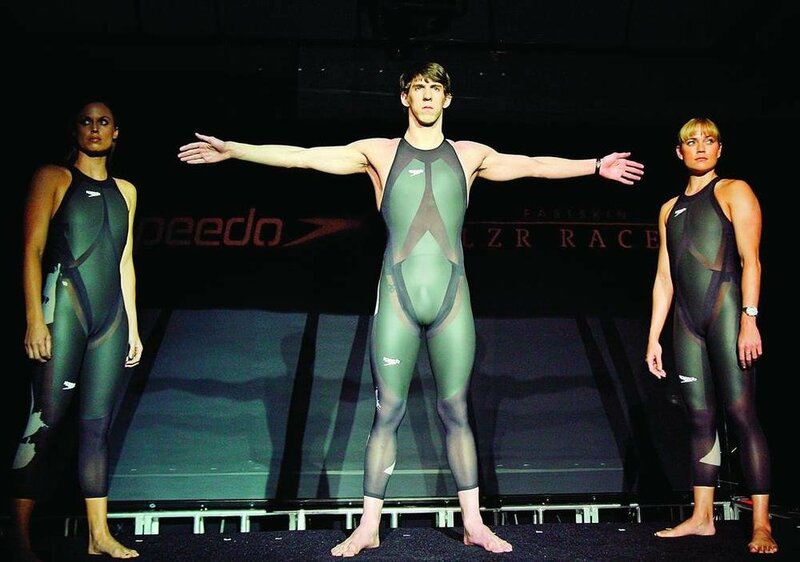 Leonardo Da Vinci the Vitruvian Man comes to mind when I look at Michael Phelps’ position. Equally perfect in proportion, that is what swimming does for you. Posted on March 19, 2018 March 21, 2018 by Dedicated IndividualPosted in Competition, London Swimming, Open water, swimmingTagged 2018, drag shorts.